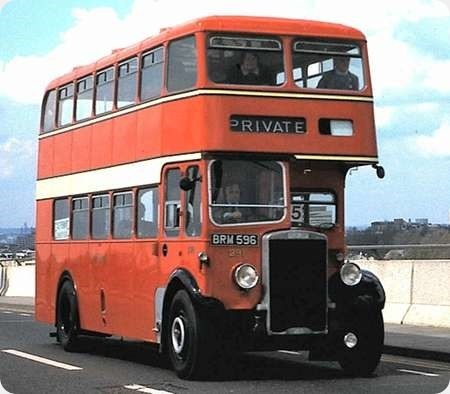 Before the advent of the Tilling Group era, and the inevitable Bristol/ECW combination for most vehicles, Cumberland had a large fleet of Leyland chassis, and the Royal Tigers seem to have been the last. BRM 596 is a Leyland Titan TD4 with the chassis dating from 1936. The present ECW L55R body dates from 1950. I understand it spent some time with Barton after leaving the north west. 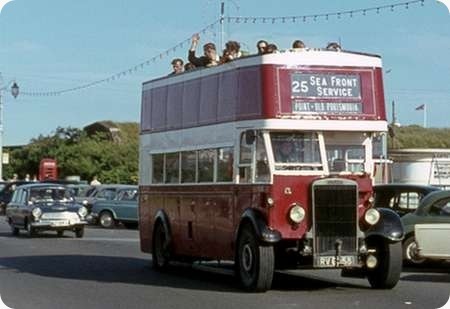 We see it on Itchen Bridge, on 6 May 1979, while taking part in the Southampton City Transport Centenary rally. Perfect combination! The straight vertical radiator suits the body ideally. Leyland’s slightly curved, rearward-sloping postwar radiator committed the bodybuilder to a continuation of the same shape and direction, so that it looked out of place with an upright-front body, whereas the prewar design seen here looked good with any body shape. 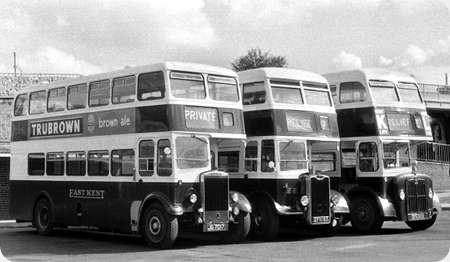 Bartons actually acquired four of these from Cumberland but two were 1938 TD5s, all of them had these 1950 ECW bodies. They were purchased in 1959 and served until 1964/5. Quite a good bargain to get bodies which were only nine years old. They also bought four very similar vehicles from Crosville but on the PD1 chassis. 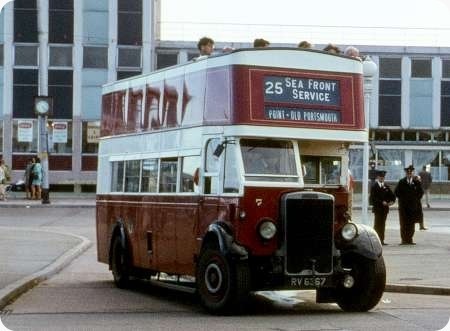 I always found that the combination of postwar ECW bodies on Leyland TD chassis produced handsome vehicles very pleasing to the eyes and ears – in particular the glorious East Yorkshire Motor Services "Beverley Bar" examples. The same must be said of the PD1/ECW match, though of course these were brand new from the start.